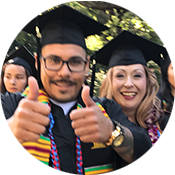 Gavilan College Reading and Writing Fellows Program promotes strong academic identities and provides leadership roles for students from diverse backgrounds using peer-to-peer engagement in and out of the classroom. 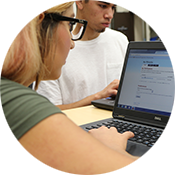 The program fills identifiable gaps in relationships between teachers and students, links participants to important campus resources, and provides strategies and approaches for a variety of reading and writing tasks. In doing so, it fosters academic possibilities as participants experience more fully their intellectual, creative and expressive strengths. Fellow leaders are students themselves, and are prepared to share with you what they have learned over the years about how to study. They know the course content and are excited to help guide you through it. They will be in class with you every day, hearing what you hear and reading what you read. What they won’t do is lecture or tell you what to do; their job is to help you develop the study skills you need to succeed in this class and beyond. Essay brainstorming, organizational strategies, identification of developmental patterns and compositional shapes, strategies for gaining written clarity, and editing and proofreading approaches.